First discovered by Captain Cook’s crew in 1779, The Island of Lanai is also known as Hawaii’s most exclusive island. Hawaii’s 6th largest island in size (and population) is home to about 3,000 residents, who live mostly in Lanai City (now there’s a misnomer). In the late 1980s, Lanai set its sights on becoming a high-end retreat for the well-healed. The transformation was successful in a number of ways that transcend the obvious intention. Now owned by Larry Ellison, the island is being somewhat transformed to his vision of sustainability. Lanai boasted two of the most dazzling luxury resorts found anywhere. The Manele Bay Hotel is situated at the island’s most stunning cove beach. The Lodge at Koele, at 2,000 feet of elevation, offers what Conde Nast Traveler has called, “the No. 1 lodge in the world,” is now closed indefinitely. Along with the two resorts came some interesting attractions and amenities, like 36 holes of world-class golf (18 of which appear to be permanently closed), several dining venues, a spa, Lanai Pines Sporting Clays (one of Hawaii’s hippest attractions with clay shooting, air rifle target range and archery), plus the standard array of resort goodies. 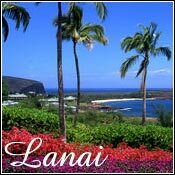 But even with the emergence of the posh hotel and lodge, Lanai has not lost the charm of a small island. Lanai City’s public square still hosts a Farmer’s Market every Saturday morning and is home to a handful of nifty shops and galleries, three food markets and five eateries lead by the offerings at Hotel Lanai, which is one of three dinner spots in town. The others are breakfast and lunch-oriented. Hotel Lanai also offers a very reasonably priced and appealing lodging alternative to those not resort inclined. 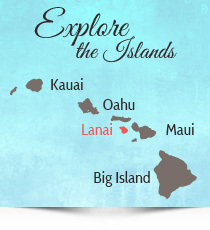 Plan your next Lanai Vacation by contacting us for hotel, air and travel information. Book Hawaii Vacations with us and enjoy huge savings. Our knowledge of Lanai, accommodations, tourist attractions, and great travel experiences ensures you’ll have a great visit. Your Vacation in Lanai will be an experience you and your family will never forget. 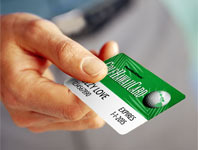 If you’re a golfer, you’ll be playing as much golf as you can. It doesn’t get any better than this. Book your Lanai Golf Vacation right now.